Before Syria’s War, This Place Was an Oasis. Now Children Are Starving. You may have seen the heartbreaking photo of Samar, the starving baby in Syria. She died late last month—she was just 35 days old. Children are dying in Syria’s heartland, not far from Damascus, because of a critical lack of food. More than 1,100 kids are dangerously malnourished right now. This corner of Syria used to be an oasis—lush farmland growing fruits, vegetables, and grains. But families here have lived under siege for 5+ years. They’ve had no electricity since 2012. They endured a massive chemical attack in 2013, killing anywhere from 300 to 1,700 of their neighbors. Today, these same families are facing one of the most dire situations we’ve seen anywhere in Syria. These communities are part of a “de-escalation zone.” The fighting was supposed to stop in these zones. Humanitarian aid was to be allowed in freely, and basic services like water and electricity were to be restored. None of that has happened here. In recent weeks, the siege has intensified. Mortars fall almost daily. Emergency aid is sporadic at best and covers only a fraction of the need. Most families don’t have—or can’t afford—what they’ll need to survive the oncoming winter. A number of children, like baby Samar, have already died. This is a preventable crisis. There’s enough grain to last a few months, but prices have skyrocketed due to fighting. The average family here earns about $60 a month. A typical lunch for one family costs around $8-10. Most families have to skip at least one meal every day. Much of the world stopped caring about Syria a long time ago. But you are not most people. We have a plan to respond, and we need your help. We need to raise $150,000 to help feed 3,400 besieged families—more than 13,000 people—for a month. You’ll help fund a local bakery providing bread for hungry families. Each family will receive a package of bread every two days—a critical staple they cannot afford for themselves and their children. There will be more stories like Samar’s if we do nothing. But we can write a different story for thousands of hungry children in Syria. We can give them what they need to hold on and hold out. 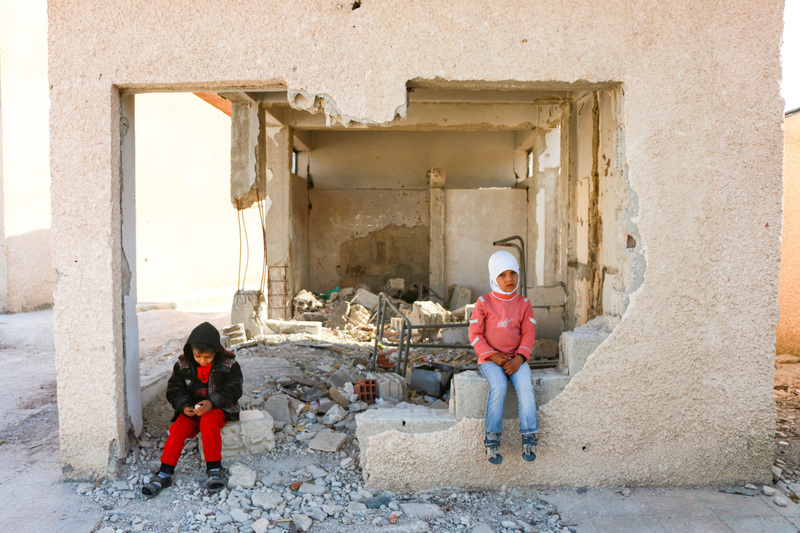 $50 can help feed a besieged family in Syria for a month. Please give today. I want to give to	Feed families in Syria. My donation is on behalf of an organization. Please increase my donation by 3% to cover payment fees. By submitting a payment, you agree to Preemptive Love's terms & conditions. Contributions are tax deductible in the U.S. Your donation is in U.S. dollars. Looking for other ways to give?